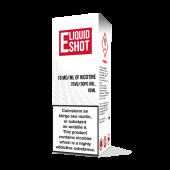 Cush Man - Nasty juice 50ml Shake N' Vape with 0mg nicotine. You’ll never find this one of the best fruity-taste of this tropical mango flavoured e-juice. The authentic taste with a pleasant aroma will boost your appetite. Sweet mango and low mint flavour twist. Don’t miss it!